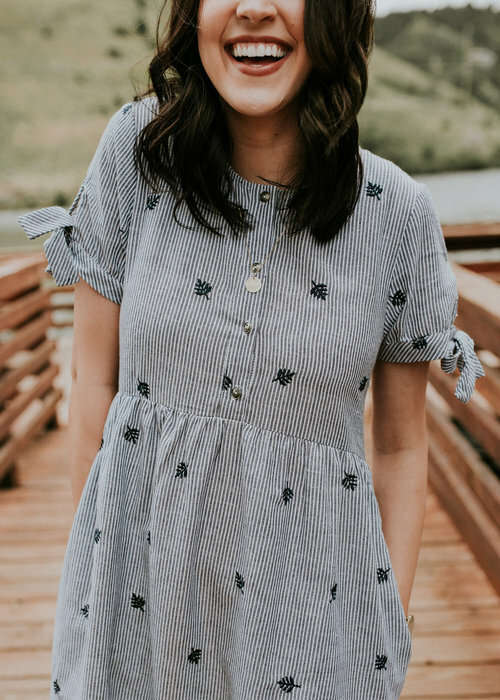 MOM Easy Dress (Roolee) I shared this in my last Friday post. I'm completely intrigued by the side zippers! 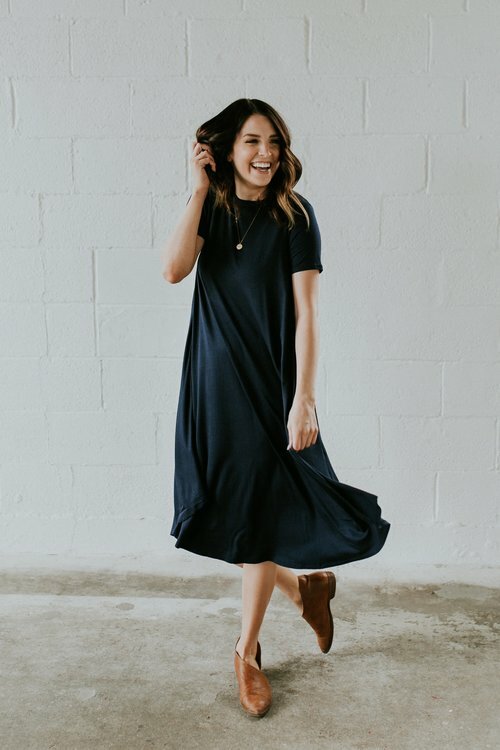 And while I love this dress in the blush color, I thought the navy would be better for Fall. Already added this to my wardrobe! 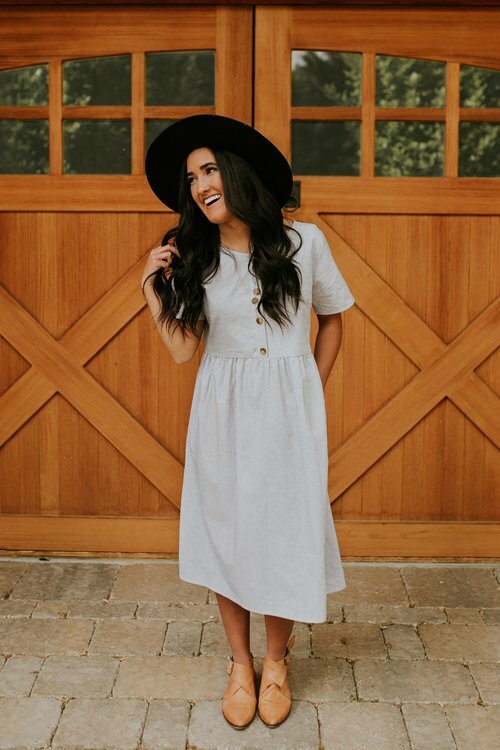 Cyrus Linen Midi (Roolee) Love the buttons for easy access! The linen has me a little concerned about wrinkles... but the length is perfect for still chasing little ones! Already snagged up this dress too! Jenny Detail Dress (Roolee) Could this leaf print be any more perfect for fall?! And those sleeves have me swooning too! Yep, I also purchased this little lady for my closet. I really can't resist Roolee's prices! Classic Caftan (Dwell + Slumber) I have this dress (in a different print), and it is a dream! I get complimented on it constantly, so I think I need another. It will probably be the first thing I put on after baby arrives. I also think one of these dresses would be the perfect gift for any mom-to-be or new mom! Can't believe I'm going to have another nursling again soon! And this time, I'm ready to be extra stylish! Love the easy breezy dresses! Ive never heard of Roolee but you can bet Im going to go look right now!! Love the button fronts and Ive heard linen is actually pretty forgiving. I've never heard of Roolee but I'm off to learn more. Crossing my fingers that it's not maternity and that I can take advantage of these dresses too! 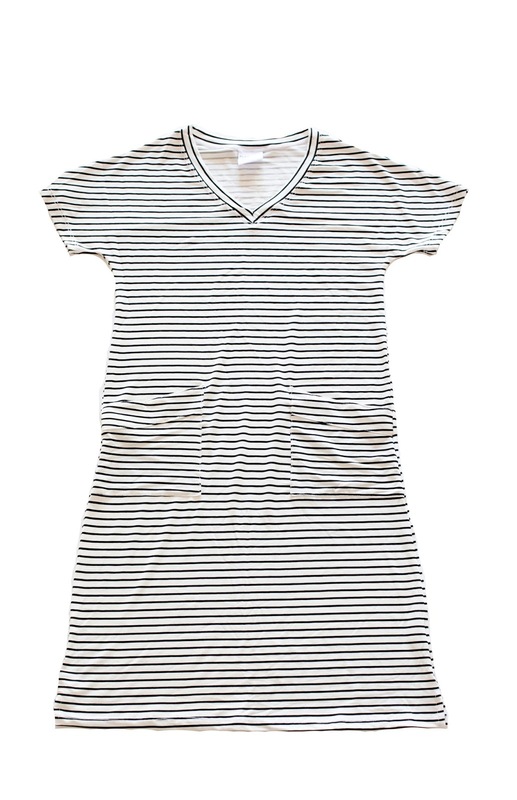 Not only does that striped dress have the stretchy neck, it also has POCKETS! And I love a dress with pockets, haha! Great picks, friend! Anxious to see the dresses on you..!! Saving for later, loving the Roolee ones especially.